Today we added another major feature to Kitely Market: ads. Ads are important to allow merchants to promote their products, since Kitely Market contains thousands of products and it isn’t always easy for even exceptional products to stand out. The new ads system is fully integrated into Kitely Market’s advanced analytics component. This means that merchants can now easily advertise their products, and track the effectiveness of their advertising campaigns. When users browse Kitely Market, ads appear above the regular search results. 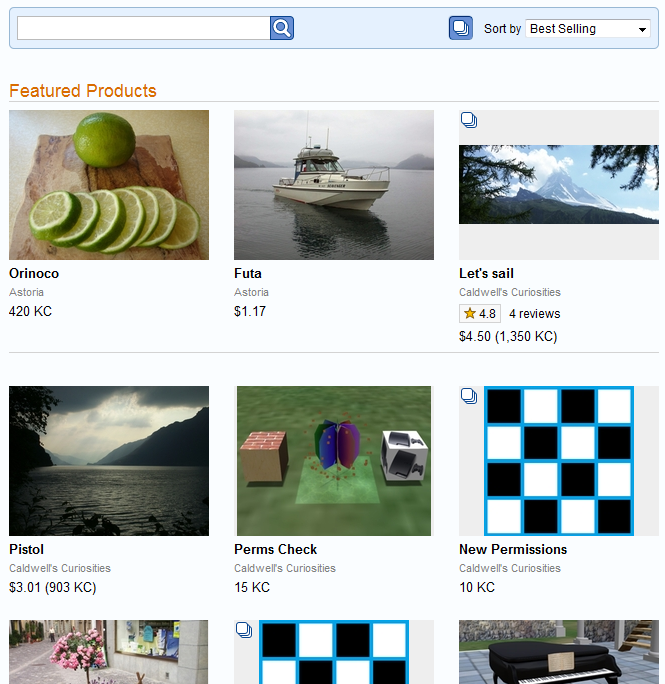 Unlike other marketplaces, Kitely Market supports two types of ads: Product Ads and Store Ads. Product Ads promote specific products. A Product Ad is tied to one particular product, and shows that product’s thumbnail and details. When the ad is clicked, the Product Page is shown. Store Ads promote an entire store. Store Ads look similar to banner ads: they display a custom image that the merchant has uploaded, and they take up as much room as three Product Ads. When the ad is clicked, the Store Page is shown. To create an ad, go to the Manage Ads page by selecting “Go to > Manage Ads” from the navigation menu. 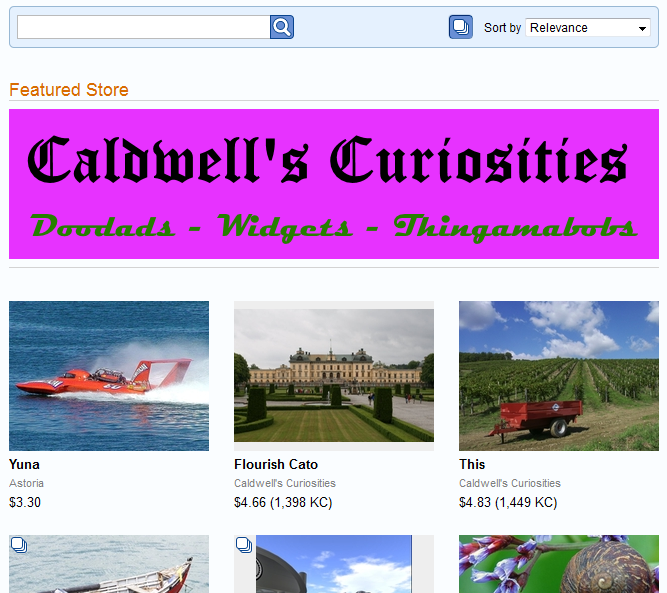 Then click “Create Product Ad” or “Create Store Ad”, and fill in the ad details in the dialog. It’s also possible to create Product Ads from the product page, by clicking “Create Ad”. That’s just a shortcut that automatically fills in the current product in the dialog, so that you don’t have to enter it yourself. The price of an ad depends on its duration and where it appears. The location where an ad appears is called its Placement. There are two types of Placements: in the Front Page of Kitely Market, and in a Category. Although these tables show the prices in USD, ads may also be purchased using Kitely Credits (KC). When you buy an ad, it’s important to know if it was cost-effective. Ads have two benefits: they can lead directly to sales, and they can increase brand awareness (which increases sales in the long term). First, there’s a dedicated Manage Ads page that shows all of the ads in your store, and each ad’s performance: how many times it was viewed (“impressions”); how many times it was clicked; and how many sales resulted directly from the ad. The number of impressions is a measure of the effectiveness of the ad in promoting your brand. Second, the main Analytics page has a new type of Channel called “Ads”, which shows product impressions and views that resulted from ads. There are some more details involved with how ads work. For those who are interested, see the Ads documentation page for more information. We’ve updated to OpenSim 0.8.0.2, which contains several bug fixes. We’ve updated to Mono 3.10.0, which contains several bug fixes and performance improvements. We fixed a bug that prevented multiple clothing layers from working in some cases. This fix is effective, but it only works in Kitely for now because the real bug in the viewer, and we just implemented a server-side workaround. We reported this bug and how to solve it to the Firestorm and Singularity teams, and Firestorm has already fixed it, so it will be part of the next release of Firestorm. At that point all users of OpenSim (and Second Life) will get this fix.